Since its foundation in 1992 Agrotime has successfully set up and developed one of the leading pig farms in Bulgaria, with the most advanced systems in the sector. 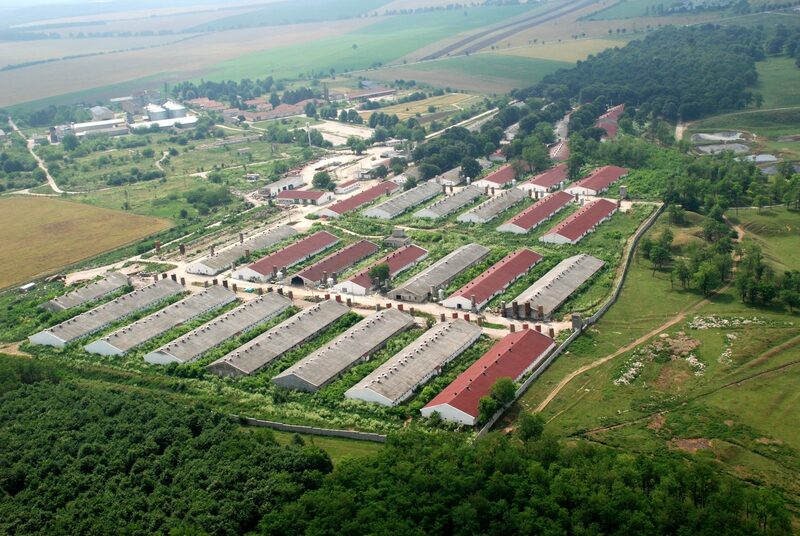 The pig production facilities are located on 25 hectares (60 acres), comprising 40 modern pig-houses, with capacity for 60,000 swine per annum (in 2017), rising to 72,000 in 2018, and 85,000 in 2019. As of January 2018, the pig livestock includes 3,300 sows. The boar lines are Hampshire Tendergen, and all are imported from the British breeding company, JSR Genetics Ltd.
Our team is extremely well-qualified, headed up by our General Manager from Denmark – a European country with its own impeccable traditions in pig production. With this combination of exceptional facilities, staff and corporate vision, Agrotime has established itself among the preferred suppliers of live pigs for the meat-packing and processing industry in Bulgaria. Agrotime is constantly investigating and installing modern systems to improve meat quality, to decrease expenditure and increase productivity, identifying and working with some of the best suppliers in the world to achieve our mission. 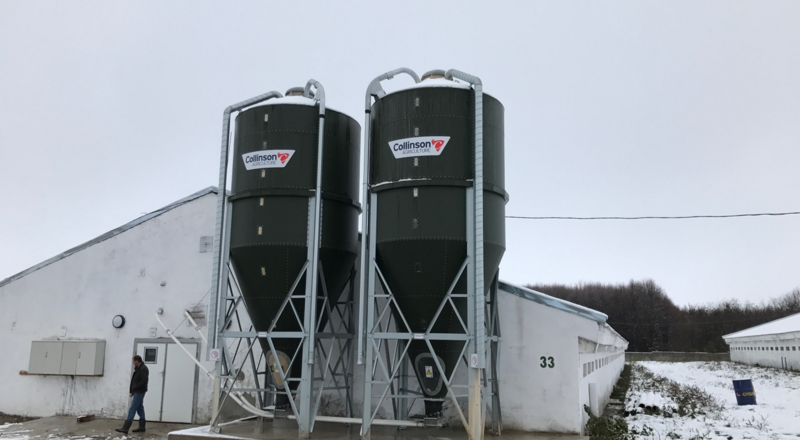 Most recently we have upgraded the pig houses with the companies A.M. Warkup and Collinson of the UK, so that we now operate the most contemporary, fully automated feed, water and climate systems. We are incorporating a number of energy-efficient improvements in the pig farm, including complete change of lighting with LEDs, and transitioning from gas heating to electric heating, which provides a foundation for transition to green energy sources and the possibility to attain complete energy self-sufficiency. 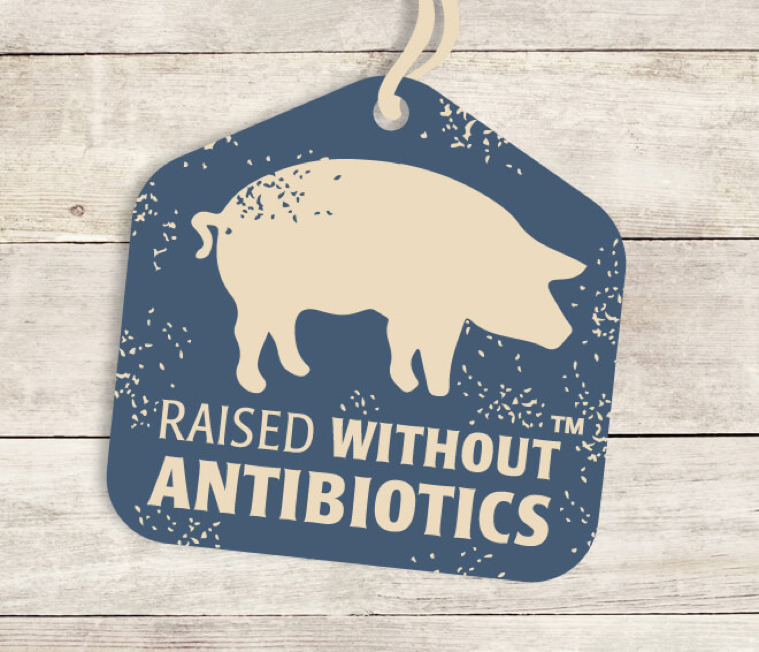 We are now working towards RWA (Raised Without Antibiotics) certification as a part of a long-term plan for minimum antibiotic application. Since 2011 a modern feed mill has been operating, built by the Dutch engineering company, Ottevanger Engineers, serving most of the feeding needs of the unit. The feed is produced primarily from our own grains and goes through a HACCP certification. Since 2014 Agrotime has invested some 12 million BGN in innovation at the Pig Farm, which has totally transformed its business and brought the operations to the top European class. 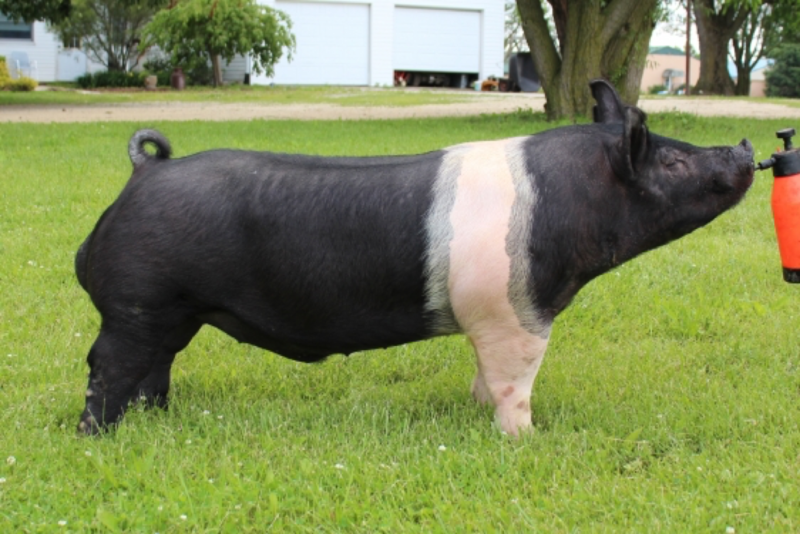 Hampshire boars are imported from JSR Genetics based in the Yorkshire area of the UK. – High health status and resistance to bacteria such as Escherichia coli. Agrotime thus offers the best quality meat – on a par with the best quality in countries like the UK, and our current aim is to get this fact publicised and recognised on the shop shelf. 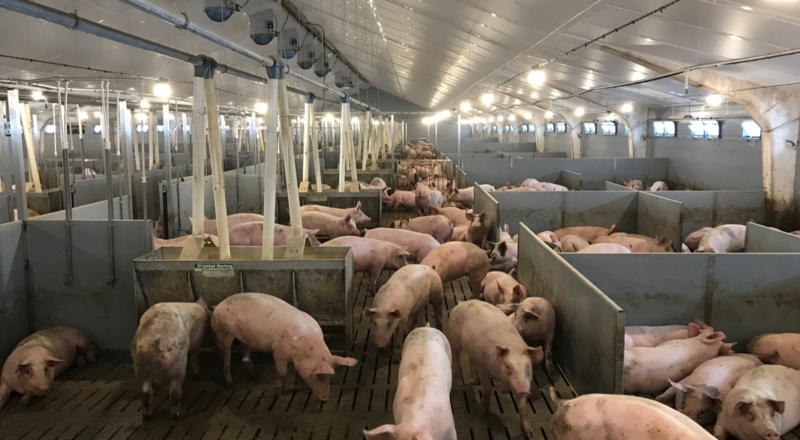 Agrotime Pig Farm is unique in Bulgaria in not giving antibiotics prophylactically, and is in the process of obtaining RWA certification within the next months. 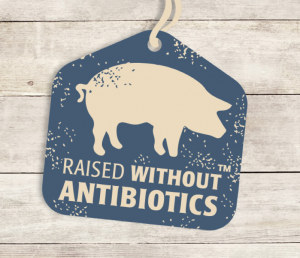 The Danish veterinary company DanBred has analysed Agrotime pig veterinary records and concluded that Agrotime pigs are given 3 x less antibiotics than the average in Germany, and compete with the best farms in Denmark. We are the first pig farm in Southeast Europe to produce free-range pigs, or so-called ‘Happy Pigs’, on an industrial scale. To this end, we have undertaken major infrastructural transformations: from conventional building design to completely new, open designs, similar in concept to modern office space, with open-plan rooms for 1750 animals together, providing more space per animal, as well as freedom of movement. All design and construction is done by the English company, A.M.Warkup. When all is said, it’s the quality of the meat that matters, and it depends on what the animals are fed. In addition to the environmental enhancements already detailed, we collect the pig slurry in slurry tanks and it is used as fertilizer. The Company is considering the implementation of an advanced slurry collection and processing technology which would allow the production of methane gas.